Synopsis: Phaedra, wife of King Theseus of Athens and granddaughter of Zeus, has fallen in love with her stepson Hippolytus, the son of Theseus and Amazon Hippolyta. She is near death in her anguish for the impossible situation, as well as for Hippolytus’ infamous virtue and his consistent spurning of all women. Unbeknownst to her, Hippolytus has fallen in love with Aricia, the only survivor of the royal family vanquished by Theseus. The news that Theseus has vanished to the underworld spurs Phaedra to confess her love, to the horror of her stepson. However, Theseus is in fact still alive and Phaedra, at the suggestion of her nurse, Oenone, accuses Hippolytus of forcing himself upon her. Theseus asks Neptune to avenge his wife, for he himself is unable to kill his own son. As Hippolytus flees, a sea-monster appears from the depths of the ocean to frighten the young man’s horses, who drag him to his death. 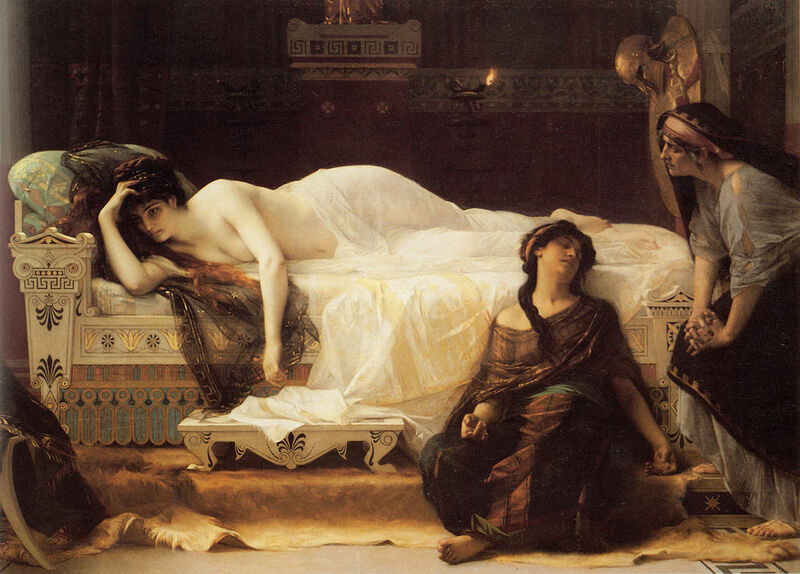 Theseus realises his mistake too late, as Phaedra confesses her guilt before dying from the poison she has imbibed. What moved me: Phaedra. This difficult, wild-blooded woman who is literally consumed by her own desires. There is little about her that is redeeming. Her jealousy is ugly, as is her desire to save face, and yet there is a tarnished nobility to the steadfastedness of her love. Of course, one version of this story is that the wrath of the spurned Aphrodite condemned Hippolytus to be loved by the next woman who saw him, so Phaedra had no control in this unrolling of her fate. However, Racine’s treatment is much more complicated, much more focused on the fragility of the human heart and its refusal to be governed. To the end, Phaedra loves, and it consumes like wildfire.